Here at the worldwide headquarters of The Western Word, we received a couple anonymous mailers via the U.S. Postal Service on Saturday. I think that is three altogether we’ve received. 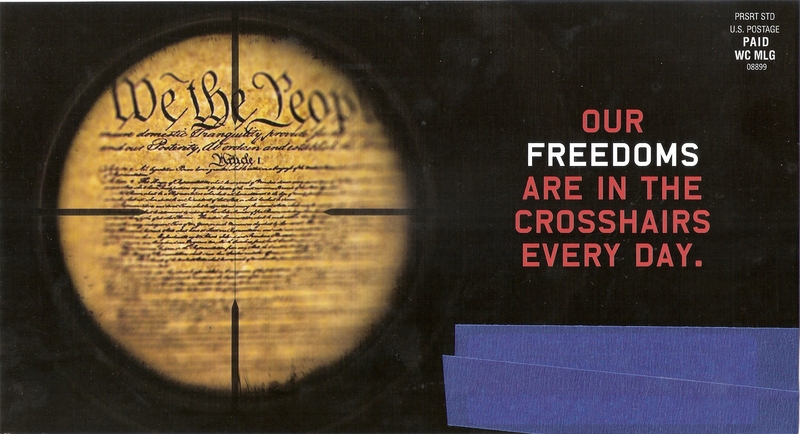 Some call them “dark money” mailers. 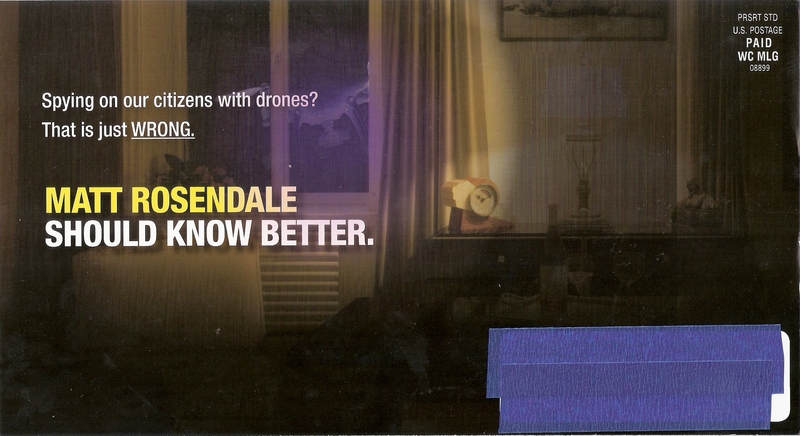 Some say the anonymous mailers are illegal. So are robo-calls, but that does not stop people from calling. 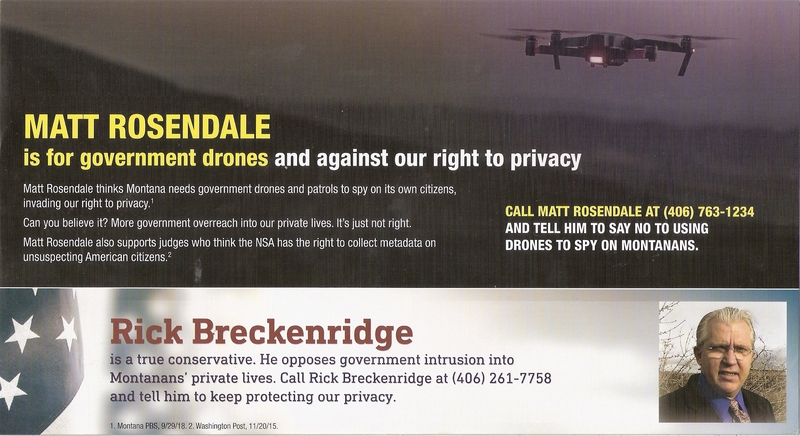 In case you don’t know, Matt Rosendale is a Republican candidate for U.S. Senate in Montana and Rick Breckenridge is a Libertarian candidate for U.S. Senate in Montana. Here are thumbnails of the mailers/fliers. Click on them to enlarge. The blog FiveThirtyEight.com says that the Montana Senate race between incumbent U.S. Senator Jon Tester (D) and Republican Matt Rosendale has tightened some over the weekend. FiveThirtyEight.com also predicts Tester will get 51.4% of the vote to Rosendale’s 46.1%. As of this morning, FiveThirtyEight.com predicts the Republicans have an 85.2% chance of keeping the majority in the U.S. Senate. I’ve predicted a somewhat easy win for Tester all along. You can read the FiveThirtyEight.com analysis HERE. FiveThirtyEight.com also predicts Gianforte will get 50.5% of the vote to Williams’ 46.3%. As of this morning, FiveThirtyEight.com predicts the Democrats have an 85.8% chance of winning the majority in the U.S. House. You can read the FiveThirtyEight.com analysis HERE. Democrat incumbent U.S. Senator Claire McCaskill has a 58.4% chance of winning her race over Republican Josh Hawley in Missouri. Gallup polling is reporting this today that as U.S. voters prepare to head to the polls for Tuesday’s midterm elections, seven in 10 Americans say they are “very” (28%) or “somewhat” confident (42%) that votes will be accurately cast and counted, similar to what Gallup has measured in past elections, except for 2008. We must always work to ensure our elections are fair and accurate. It must be easy to vote in this country. Voters must have confidence in the process. Follow The Western Word on Twitter @TheWesternWord and on Facebook for the latest election and campaign news. 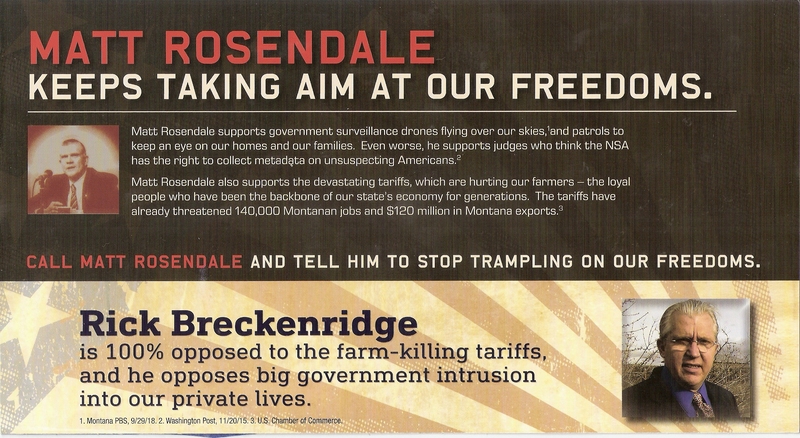 This entry was posted in Campaign 2018, Greg Gianforte, Jon Tester, Kathleen Williams, Matt Rosendale, Polls and tagged #MOSen, #MTAL, #MTSen, Anonymous fliers, Anonymous Mailers, Claire McCaskill, dark money, Elections, FiveThirtyEight.com, Greg Gianforte, Jon Tester, Kathleen Williams, Matt Rosendale, Montana politics, Rick Breckenridge by Jackie M. (Mike) Brown. Bookmark the permalink.